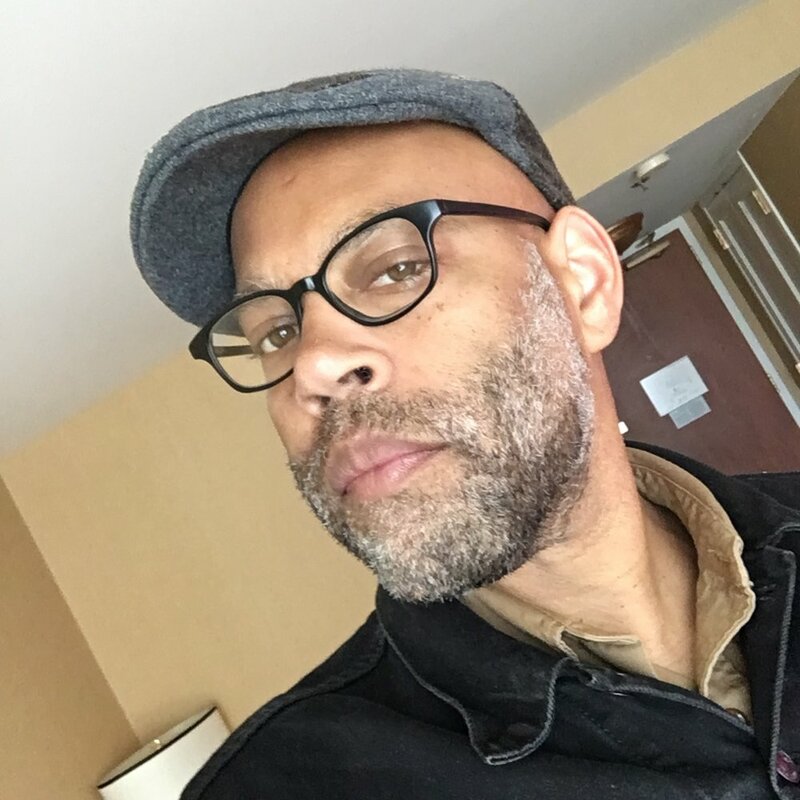 Artist/Filmmaker Kevin Jerome Everson (b.1965) was born and raised in Mansfield Ohio He has a MFA from Ohio University and a BFA from the University of Akron. He is currently a Professor of Art at the University of Virginia in Charlottesville Virginia. He has made nine feature length films and over one-hundred and thirty short films including Tonsler Park (2017), The Island of Saint Matthews (2013), Erie (2010), Quality Control (2011), Ten Five in the Grass (2012), Ears, Nose and Throat (2016), Spicebush (2005), Stone (2013), Pictures From Dorothy (2004), Century (2013), Fe26 (2014), Sound That 20014), Sugarcoated Arsenic (2013) with Claudrena Harold, Emergency Needs (2007) and the eight-hour long film Park Lanes (2015). He also has two DVD box sets of his films called Broad Daylight and Other Times and I Really Hear Something: Quality Control and Other Films with a catalog distributed by Video Data Bank. Everson’s films and artwork have been widely shown at venues including Sundance Film Festival, Berlin Film Festival, International Film Festival Rotterdam, Oberhausen Film Festival, Venice International Film Festival, Toronto International Film Festival, New York Film Festival, Ann Arbor Film Festival, The Museum of Modern Art in New York, the Whitney Museum of American Art in New York, The Tate Modern in London, Whitechapel Gallery in London, National Gallery in Washington DC and Centre Pompidou in Paris. The work has also been recognized through awards and fellowships such as Guggenheim Fellowship, an Alpert Award, a Creative Capital Fellowship, an NEA Fellowship, Ohio Arts Council Fellowships, and an American Academy in Rome Prize. Everson is represented by Picture Palace Pictures New York and Andrew Kreps Gallery New York.